You can’t say you’ve been in Annacaul until you’ve visited the lake that’s nestled in the mountains overlooking the valley. This is an area rich in history and mythology and never fails to inspire the creative mind. The river and lake have stocks of trout for those partial to a little fishing, and the lake road and mountains are popular with both serious and amateur walkers alike. 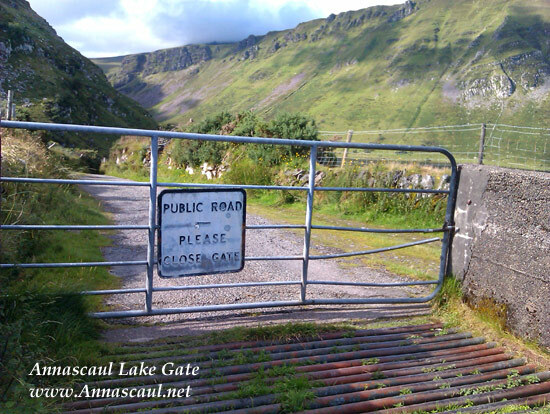 Cross the bridge at the South Pole Inn in Annascaul Village, turn right and follow the Annagap road until you come to a sign post for the Lake. Take that right turn and continue along the road until you come to the gate to the lake. Make sure you close it behind you as this is common grassing lands with sheep roaming free. Continue along the road to the lake car park. The distance from village to lake is about 4 km. The walk is not too taxing with much of it flat ground. The scenery is beautiful along the long road, and then more visual ‘close-up’ treats are displayed when you turn at the crossroads, as the road is dotted with charming old farm buildings and traditional houses. After the lake gate, the road dips and winds down to the lake car park and continues along the foot of the mountain to your left. 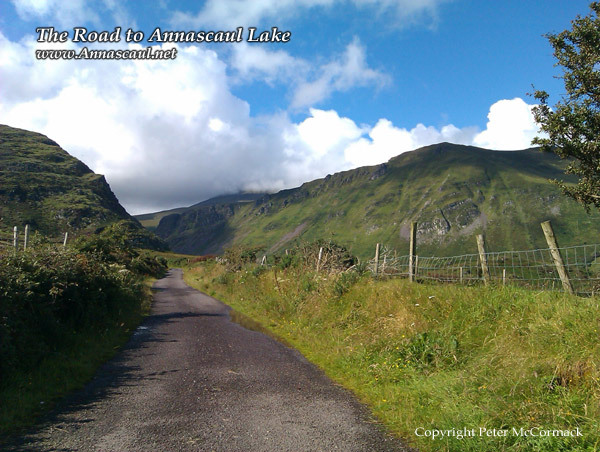 You can follow the road up and around the lake into the Dromavally hills. Much of this road was built during the famine times. This way men could earn a meagre wage labouring on road work programmes. In many instances the roads ultimately lead nowhere in particular, as with the road and bridges that run up the mountain to it’s top plateau and then abruptly ends. Working men walked every day from the village and surrounding parish, many more than 5 km, to work on the road. After a long day of hard laborious work, with little food in their bellies, they would set off home again. It is said that a man who arrived late was docked his days pay and sent home. 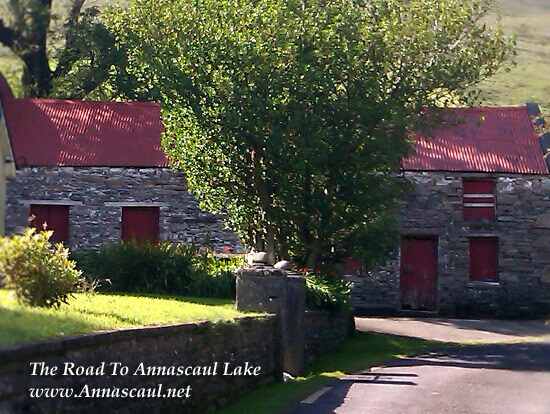 These were hard times in Ireland, and the road that runs to the mountains beyond the lake is a testament to the strength and toughness of the local men who built it. Legend has it that the lake was formed when two mighty giants fought a pitched battle to the death for the hand of the fair maiden Scaul. 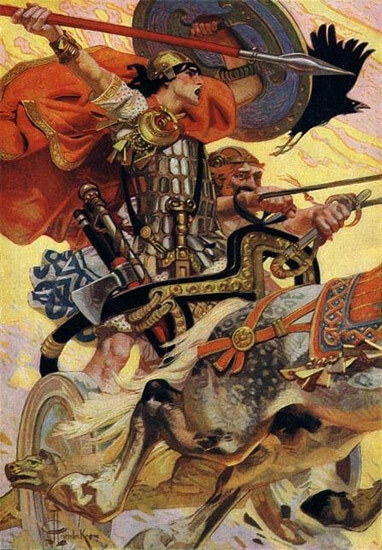 One of the giants was none other than Ireland’s greatest mythological hero Cú Chulainn (Hound Of Culann). Cú Chulainn and the other giant, possibly called Ferdiad, Cú Chulainn‘s foster-brother and friend, threw great boulders at each other across the mountains. The boulders than fell short of their target crashed into the ground below, forming the a crater that later filled with water. Cú Chulainn won the battle and the favour of fair Scaul. 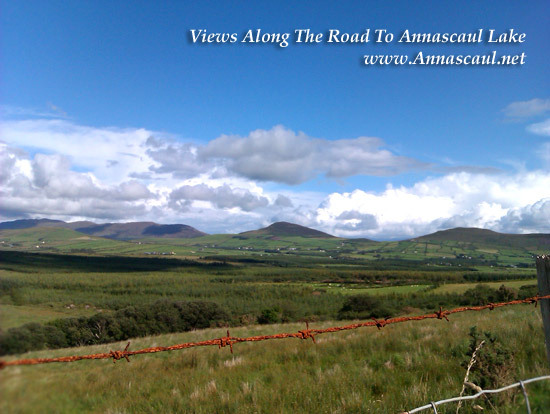 There is a mound of rocks or cairn on the top of the mountain that is said to have once been Cú Chulainn‘s house, and another site that is said to be the last resting place of Cú Chulainn after his defeat at the hands of Queen Meabh’s army (Read Thomas Kinsella’s translation of Táin Bó Cuailnge). 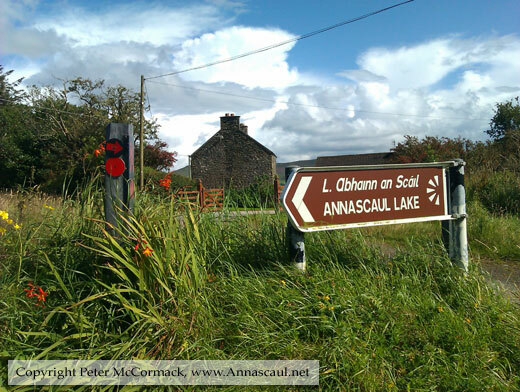 While Cú Chulainn is rumoured to have been buried in many sites around Ireland, we in Annascaul know his true resting place is high in Dromavally Mountains, where he keeps a watchful eye over the people of Annacaul in the valley below. Mary Macha Bó (Mary of the plain of the Cows) lived on the Glanteenassig side of Dromavally Mountains, in an area that now still have ruins of the few stone houses that the inhabitants occupied. 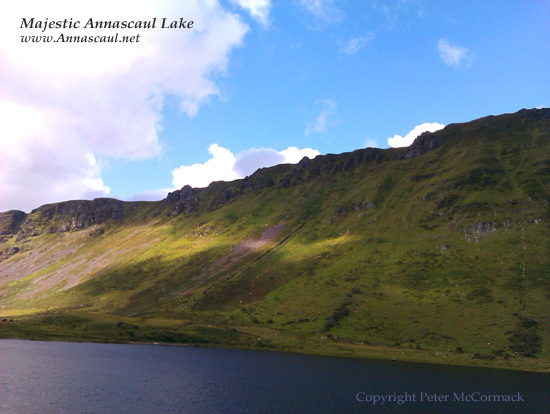 I have been told that every day, old Mary, walked across the mountains, down past the lake and out to Annascaul to get some groceries or attend mass. When her business was complete, old Mary would make the long walk home again, to her little stone house, her cows and her fire. Some woman! The lake is not suitable for bathing but many parts of the shallow rivers that run into are fine for dipping your toes. Never let children play unattended in any water, including the rivers here. The area is used for sheep farming, so if you are bring dogs please keep them on their leash. Not to labour the ‘safety’ message too much, but when I was a kid I saw a French guy being rescued by Mountain Rescue after he scaled the mountain to the left of the lake and got stuck between the two peaks. This guy had no climbing gear, he was wearing runners and put himself at great risk by underestimating just how steep the climb was.